Music. Folklore. Gastronomy. Even, body painting. The July Calendar is full of events and events for all tastes. And, often, to spend an alternative summer. Difficult to choose what the top event could be. Of course, one of the best events of July is, of course, Tomorrowland, one of those festivals to attend at least once in one's life. Not a simple Festival. Tomorrowland is an unforgettable experience to try on your skin. A lot of music but, above all, extraordinary effects and fantasy decorations set up on the various stages of the park. Incredible effects, fireworks, water fountains, smoke, confetti. Have fun and dance to the rhythm of House, EDM, techno, drum & bass, hardstyle and electronic music in all its facets. The greatest stars and international DJs will be the protagonists of your incredible days. Even in a minor tone, Ultra Europe he is a worthy rival. Indicated by the organizers as "Europe's premier destination music festival". Just read, simply, the names of the Ultra Europe 2018 artists, to realize that the statement is anything but risky. David Guetta, Carl Cox, Armin Van Buuren, Marco Carola, Afrojack, Alesso, DJ Snake, just to name a few! The frame is the splendid Split. Always remaining in musical theme, but changing genre, Roskilde and Rock Werchter are two "sacred monsters". Not only among the best events of July but, probably, among the best rock shows in the summer. Roskilde festival represents the oldest and most important festival in all of Europe, second, in size, only in English Glastonbury. Up to 07 / 07 in Denmark. Born in the distant 1975, and today a real icon, the Rock Werchter is one of the most famous rock festivals in all of Europe. From over 40 years to now, the small Belgian town suddenly moves, animating itself like a big metropolis. Appointment from the 05 to the 08 of the month. Among the most interesting and alternative events of July, we report the Træna festival. Spectacular location, extraordinary hospitality and suggestive position. In this context, I would like to mention excellent music and excellent cuisine, and that's it. The Guardian has included him among the 10 European Festivals, to watch at least once in his life! Not to be missed. 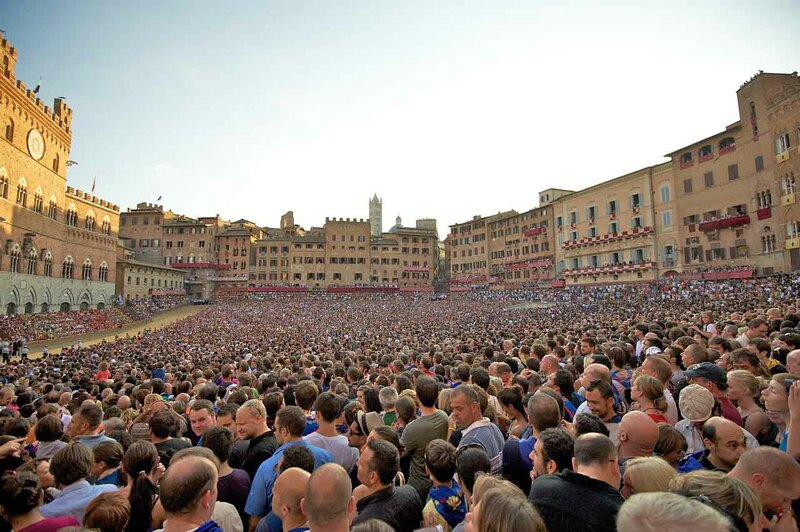 July is the month of expectation Palio of Siena, among the best events of July in the folk scene. In the frame of the splendid Piazza del Campo, the 02 July is set to take place with this historic event, of which there are traces, even in the distant thirteenth century! Remaining in terms of traditions, the Festival and Encierro of San Firmino represents one of the most anticipated events. Thousands of tourists come from all over the world to witness the spectacular running of the bulls. An event that takes place every year from 07 to 14 July, whose origins date back to the Middle Ages! Among the events of July not to be missed. From 06 to 08, Barcelona offers days dedicated to beer and Spanish gastronomic specialties with Fira del Poblenou. There will be events, tastings, shows and shows. All in the wonderful setting of the Pobleneu. The right opportunity to appreciate, even more, this fantastic city. Are you looking for curious and strange events? This month you will have a lot of material available. La Procession of Santa Maria de Ribarteme the 29 July is, without a doubt, one of the most incredible events. The processional protagonist of the procession is the funeral procession in which the coffins are with people living inside. In Wayne, a small American town, in mid-month is celebrated "his majesty the feather" with the Chicken Show. Courts, craftsmen and food stands await you, where the poultry is offered in all sauces and all forms. The billboard includes a series of truly unique and incredible contests! Mud Boryeong, instead, it is one of those Festivals ... where you can get back a little kids. The most crazy and incredible event in Korea, where you can roll in mountains of mud. You get dirty, always with a smile on your face! From the 13 to the 22 July. Lovers of tattoos and body painting will not miss the most important of the July events dedicated to them. Dal Dal 1998, the World Bodypainting Festival, entertains visitors with artistic performances, art, body art, shows, shows, fashion and live music. The WBF is much more than just a colorful party. Here you will find the best artists, coming from more than 40 different countries, ready to show off their art in different forms. Appointment in Klagenfurt, Austria, from 12 to 14 July. From this link, all the July events not to be missed, selected by Kanoa. WHERE: Dhërmi, Albania WHEN: 12 - 19 June 2019 Extraordinary music. Suggestive beaches. Heavenly food.